Log into the MSM student portal for all student information. This page tells you things you need to know right now. The MSM student portal my.msmnyc.edu has information you’ll need about classes, schedules, reserving a practice room and more. On this page you’ll find current MSM News for Students and Links to key pages for students here on the MSM website. Watch the 2018 MSM Commencement ceremony live on the Commencement page or the MSM Facebook page on May 11 at 12 noon! Learn more about MSM’s new concert attendance system here. Visit the Orchestra page for all information related to rehearsals, rosters, auditions and more! Visit the Jazz Arts Scheduling page for information about rehearsal schedules and rosters. To view the semester’s calendar, please visit the Jazz Arts Calendar page. Currently no classes are cancelled. Check back here for updates due to schedule changes and inclement weather. Make sure you and your immigration documents are prepared for any travel plans during the FALL semester. REMEMBER: You should request a NEW travel signature on your I-20 or DS-2019 document every 6 MONTHS. To request a new travel signature, complete the GREEN Travel Signature form and bring it with your current I-20 or DS-2019 document. These forms are located in the Office of International Student Services (ROOM A-447). DO NOT WAIT UNTIL THE LAST MINUTE! Request the signature at least a week BEFORE traveling. Meetings to plan the 13th Annual International Student Concert & LIVE Webcast will begin in January 2018. 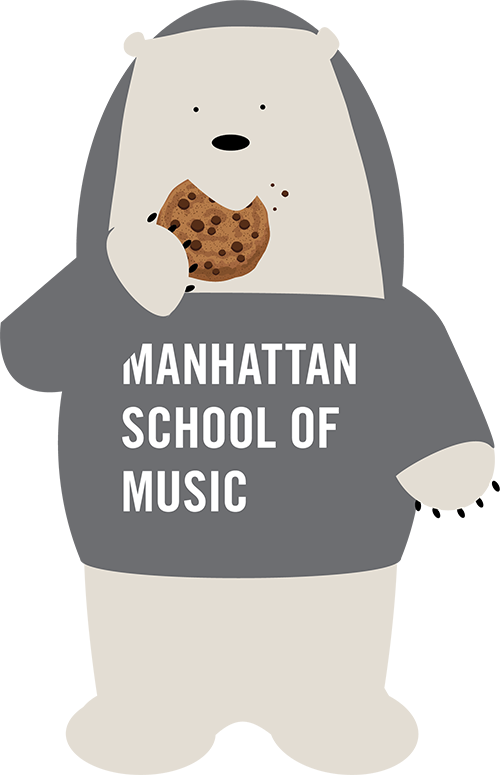 We encourage you to consider participating in this annual event celebrating the cultural diversity at Manhattan School of Music!! A Social Security Number (SSN) is required by the U.S. government for tax and employment reporting purposes. It is used to report an employee’s earnings or a student’s taxable scholarship benefits. However, the SSN does NOT grant legal authorization to work in the United States. International Students on an F-1 or J-1 student visa must be granted legal employment authorization BEFORE he/she can use or apply for the social security number. Please review in the next dropdown menu, all the legal employment opportunities available for international students. Must have a specific job offer in a position related to field of study. Part-time work (no more than 20 hours per week) can be authorized while school is in session. Full-time employment authorization can be given during school break periods. Optional Practical Training (OPT is an off-campus employment opportunity for F-1 visa holders to gain practical experience in jobs related to field of study. Students that have been in legal F-1 status for at least one academic year (9 months) can apply for a 12-month period of OPT through International Student Services; however, the application must be approved by United States Citizenship and Immigration Services (USCIS) and can take up to 90 days for approval. Most students choose to use the full 12-month period of OPT following the completion of his/her studies as full-time employment is permitted; however, students can apply to use some of his/her 12-month OPT period while still enrolled. In this case, employment is limited to part-time (no more than 20 hours per week) unless it takes place during school break periods.